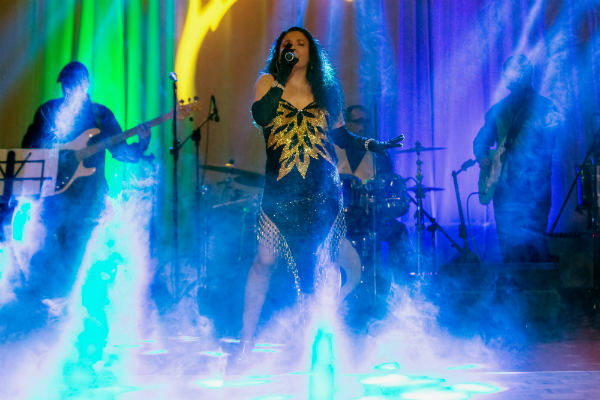 Over the past 15 years our Multi Award Winning established band has built up a reputation as being possibly the most versatile Latin Brazilian party band around. They gained international experience having performed not only in the UK but also in Europe, Middle-East, Africa and Brazil. The Latin Brazilian party band entertained VIP such as Anthony Joshua, Brazilian football legend Pele’, the Qatari Royal Family, Tony Hadley, Denise Welch, Lili Allen to name but a few. 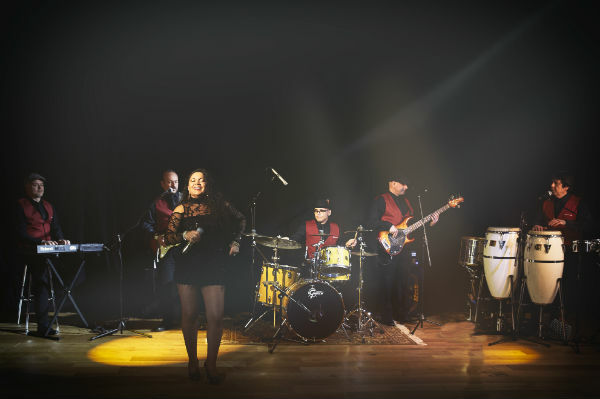 The 6 piece line-up includes 5 musicians on electric piano/keys, bass guitar, electric guitar, drum kit, percussion and female Brazilian vocalist singing comfortably in Portuguese, Spanish and English. This Latin Brazilian party band is available also as a 9 or 10 piece including a full brass section and extra percussionist. They can fill any moment of your event. For instance, to please your guests during reception or while dining they can play a background music set list of a classy and sophisticated repertoire of Smooth Latin Jazz and Brazilian Bossa Nova. 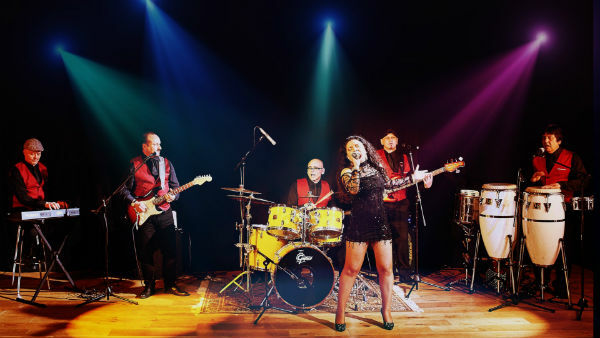 For your after dinner entertainment the Latin Brazilian party band will provide a sparkling and energetic lively performance presenting a well-assorted selection of Latin and Brazilian up tempo songs, Latin Pop, Western Pop dance floor classics, Disco and Charts. A mixed musical journey suitable for any occasion. It will guarantee that the dance floor will stay packed all night. 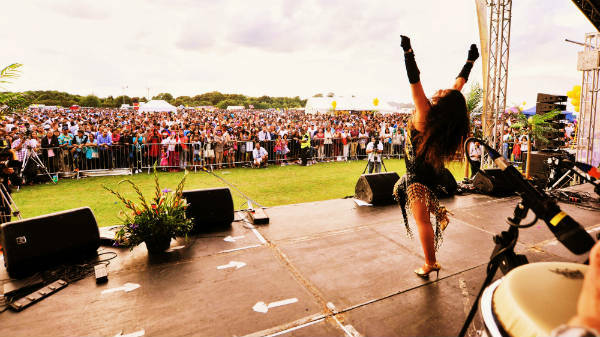 ★ Have gained international experience by performing in the UK, Europe, Middle-East, Africa and Brazil. Hi Leo! We wanted to say a massive thank you to you, the dancers, singer and the musicians. You guys really brought the show together and the entertainment was amazing! 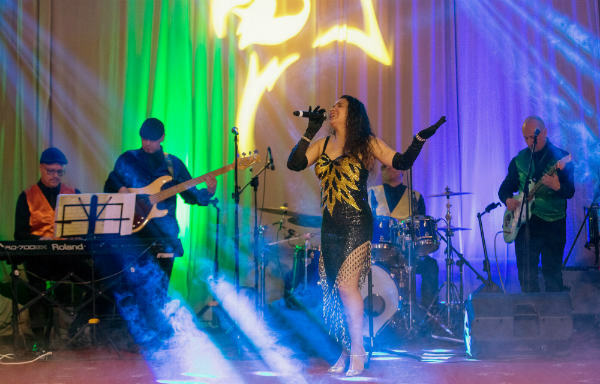 We contacted various agencies for a Brazilian Band and dance troupe to perform in Doha, Qatar. After careful analysis we had chosen Tropicalia purely for their past credentials and testimonials. I personally found Leo, Co-founder of Tropicalia and the whole Production Team very easy to work with, creative, extremely helpful and always going out of the their way to further enhance the production. The event in Qatar was extremely unique, with Royal family as guests, ministers and other dignitaries, attending the evening programme, all for SDC 8th Charity Gala Dinner. Tropicalia was able to choreograph a specially produced dance to adhere to cultural sensitivities within the Middle East region, which I found outstanding and very accommodating. The finale of the evening composed of an 11 piece band and 16 person dance troupe to close the evening and bid our guests farewell. I would very much recommend Tropicalia as an entertainment highlight for any event. A huge thank you for the unforgettable night. A Magnificent Show! Your team were fantastic. Great event and thank you very much for everything you did. The client was really happy with everything. As we spoke about before the event, we need acts to have a big impact and that is what you did. Thanks for all your hard work and look forward to working with you again soon. Best wishes. We hired Tropicalia and they were just fantastic from the way the girls were dressed greeting our guests, the background soft music during the Champagne reception to the evening show that was unbelievably good. The costumes were amazing. I would not hesitate to recommend Tropicalia for any event and will certainly be looking to use them again in the future should we require a Brazilian show again. The band was a pleasure to deal with and Leo was exceptional in his details prior to the event. Bright, colourful, energetic, moving, powerful and emotional. Our wedding day wouldn’t have been complete without the pure passion and love we felt from Tropicalia. As a team they truly make the experience unique and comparable to no other. Tailoring a specific routine and performance based on what we wanted, whilst including songs of our choice and even learning a completely new song to accommodate. I couldn’t have wished for a better team, from beginning to end it has been wonderful and I am ever so sad it’s over. I would highly recommend them to anyone looking for a alternative to a typical wedding or event. You cannot go wrong with Tropicalia, they are a team who make colourful dreams come true! 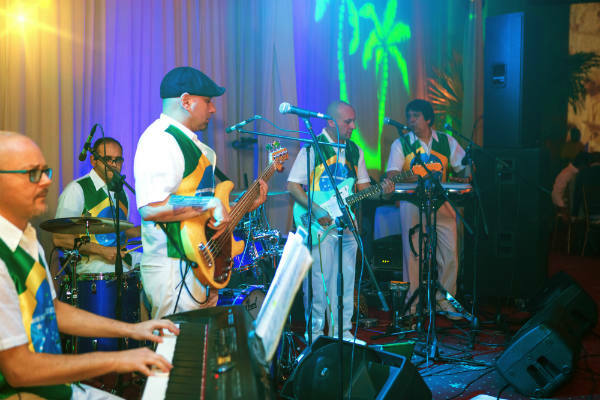 We booked Tropicalia for our company Christmas party 2013 and our theme was Brazil in anticipation of the FIFA World Cup 2014 and the Summer Olympics in Rio de Janeiro 2016. Our guests got straight into the party mood as they were welcomed by the beautiful and colourful dancers for photo shooting. The show, dance and capoeira performances were fantastic and people definitely enjoyed it. A special thanks to Leo and the all crew as they came early to the venue to get ready in time, which was much appreciated. If you think about Brazilian themed event, I cannot think about anybody else.